Fashionable design with clean lines and a flared edge. 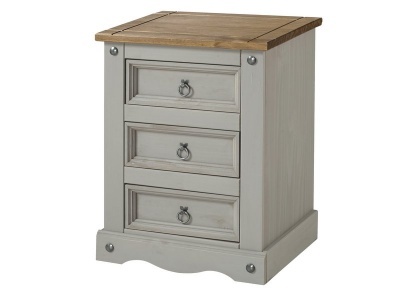 On trend grey painted finish is off set beautifully by the sleek metal handles. Glass bonded top protects this petite bedside table from accidental spills. 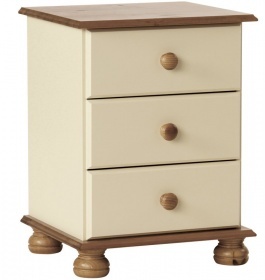 Constructed from MDF to a high build quality. 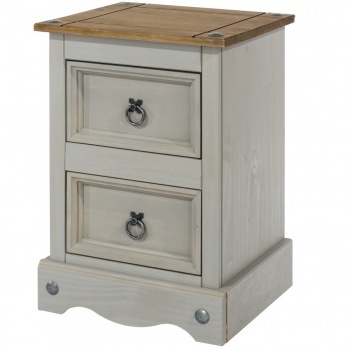 Mix with other pieces from the Lilith grey painted bedroom furniture range.